WORLDWIDE: We have omitted some of the large turbines where progress has stalled, such as the 7MW Samsung and MHI Sea Angel machines, but the ten turbines described here are either in production or scheduled to start soon. With power ratings ranging from 5MW to 8MW-plus, and rotor diameters of up to 180 metres, these are the titans of the wind power industry. The fortunes of the MHI Vestas joint venture, created in April 2014, depend largely on the success of this model, the biggest wind turbine in serial production today. Originally announced by Vestas as a 7MW unit in 2011, the V164's development coincided with a tricky period in the Danish firm's history, marked by steep losses, job cuts and a boardroom clear-out. Teaming up with Mitsubishi Heavy Industries was crucial to continue development and begin production of the V164. The blades - 80 metres in length and weighing 35 tonnes apiece - are made at the company's Isle of Wight facility in the UK. The first project using the V164, Dong Energy's Burbo Bank extension is currently under construction. The turbine has also been chosen to power part of the Walney Extension project in the Irish Sea, due to go online in summer 2018. By then, further development will have pushed the V164's capacity up to 8.25MW. 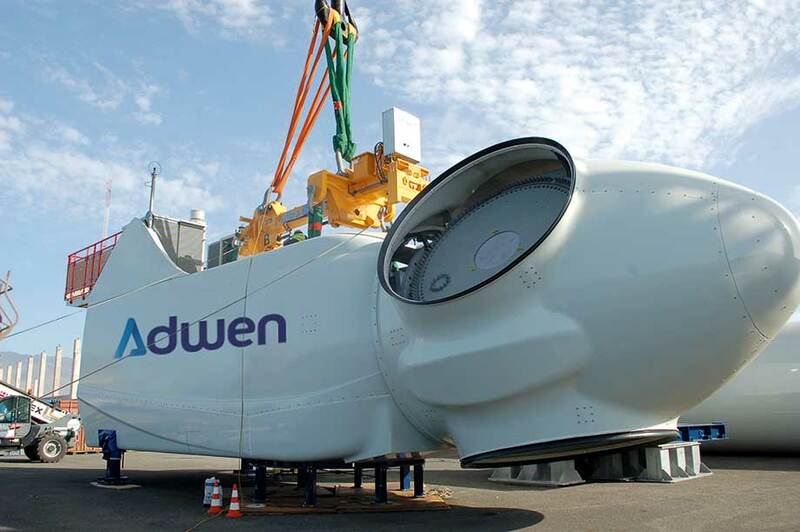 Another product of a recently formed offshore joint venture - this time between Gamesa and Areva - the Adwen AD-180 is setting a new benchmark for blade length at 88 metres, 10% longer than even those of the MHI Vestas V164. Both JV partners are able to draw on some experience with offshore turbines. Areva's 5MW Multibrid, now rebranded as the AD5-116, has been in operation at the 400MW Global Tech 1 project in the German North Sea since September last year, although Gamesa's 5MW unit never progressed beyond the prototype installed onshore on the Spanish island of Gran Canaria. The new 8MW turbine draws on elements of both designs for an evolutionary step-up rather than a radical change of direction. The turbine has been selected for three of France's first six offshore projects, all of around 500MW, for a healthy looking order book. Developed from a 6MW machine unveiled in 2006, Enercon's E126 is the only onshore turbine to qualify for this list. The size and cost of this direct-drive design have limited its take-up, but 38 E126s are being installed at the Noordoostpolder site in the Netherlands. The pre-fabricated modular tower consists of 35 tapering concrete rings and one steel yaw-bearing connector, with a diameter of 14.5 metres at the ground narrowing to 4.1 metres at the top. 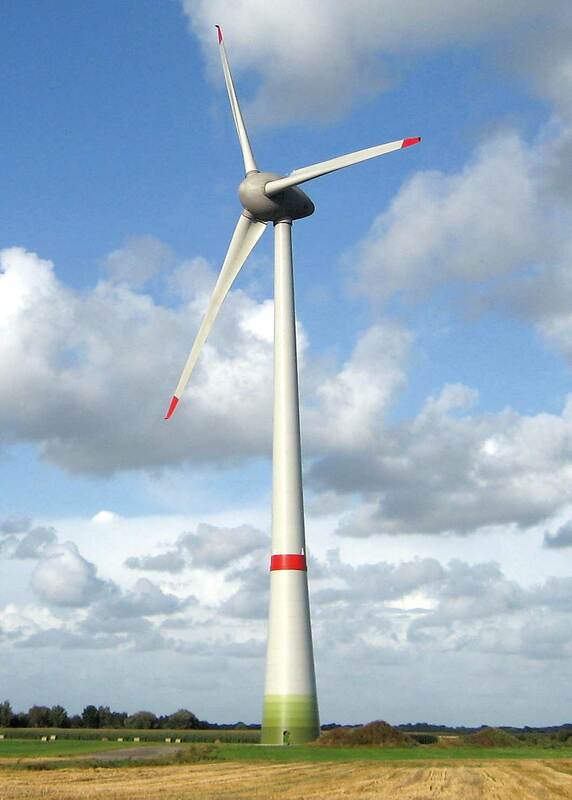 It gives the turbine a hub height of 135 metres and a tip height of 198.5 metres. The segmented steel-composite blades are 63.5 metres in length for a rotor diameter of 127 metres. That is relatively modest for a turbine this size, but the E126 is designed for high-wind sites. There was some talk in the past of adapting the design for offshore use, but Enercon has steered clear of the offshore market. 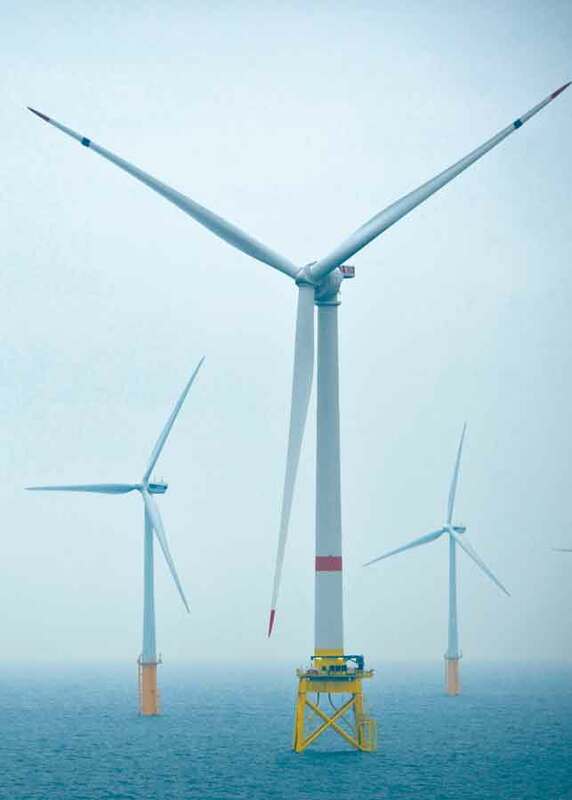 First seen in 2011 as a 6MW unit with a rotor diameter of 120 metres, Siemens has since upgraded this direct-drive offshore turbine for a power rating of 7MW with an extended rotor diameter of 154 metres. The operational life of the 6MW machine kicked off last year with the inauguration of Dong's 210MW Westermost Rough project off the north-east coast of England. 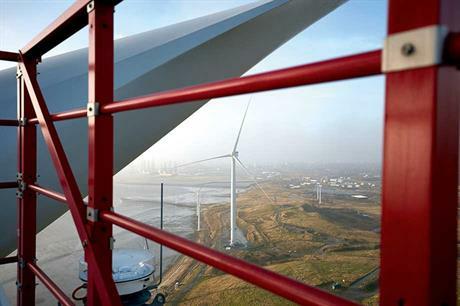 They are also being installed at the UK's Dudgeon (402MW) and Germany's Gode Wind 2 (252MW) projects. The 7MW model received type certification in January and has been specified for several large developments, including the 1.2GW Hornsea project off England's east coast. It has also been ordered for the 329MW eastern phase of Dong's Walney Extension; MHI Vestas' V164 providing the hardware for the 330MW western phase, for what should make an interesting comparison. 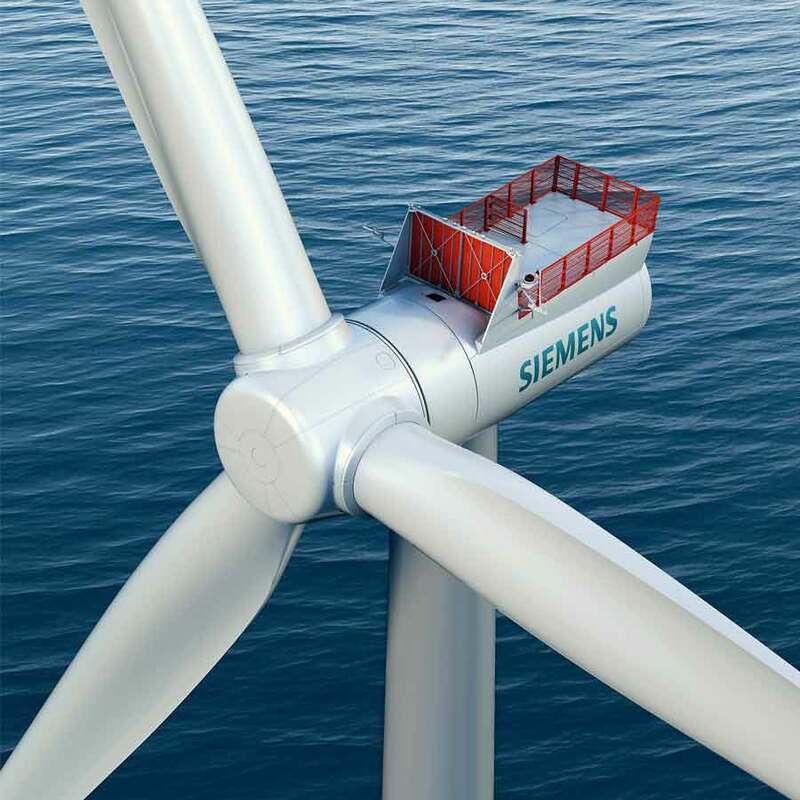 Siemens has dominated the offshore market for the best part of a decade through its 3.6MW turbine. The big brother looks well placed to keep the German company on top. Eight years have passed since Chinese manufacturer Ming Yang signed an agreement with German design consultancy Aerodyn to build its radical downwind two-blade offshore turbine under licence, and the project has yet to progress from the prototype stage. At least two variants have been built - a 6MW unit with a 140-metre rotor diameter aimed at typhoon-prone IEC ll offshore sites, and a 6.5MW model with a 130-metre rotor diameter for high-wind IEC l conditions. Development has been slow because the super compact design (SCD) contains few standard wind-turbine components. They have had to be specially made, usually in Germany, although the main carrier, gearbox and generator housing, as well the rotor hub were cast in China. Whether either the 6MW or 6.5MW model will go into full-scale production remains to be seen. Aerodyn is now working on an 8MW variant with a 168-metre rotor diameter, which it showed in concept form at the 2014 Hamburg Wind Fair in Germany. Introduced as a 5MW unit in 2004 under the Repower brand, Senvion, which has since been bought and sold by Suzlon, has continued to develop this offshore turbine. Power rating has been boosted to 6.15MW and a new variant - with a rotor diameter of 152 metres in place of the current model's 126 metres - was installed as a prototype in December 2014. The greater blade length provides a 20% increase in yield at wind speeds of 9.5m/s, according to the company, while other improvements include extending operating life from 20 to 25 years. 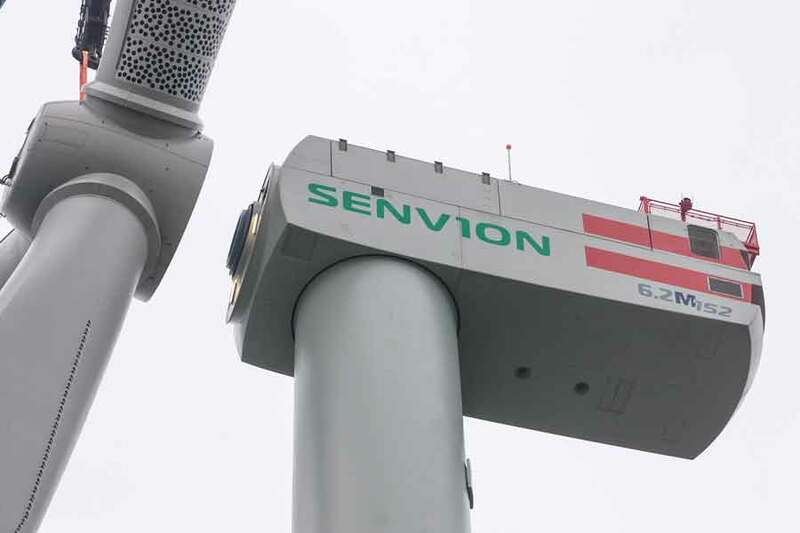 Senvion was the first OEM to offer a 5MW-plus offshore turbine, but it has never sold in large numbers. There are little over 200 units either in operation or being installed, while there are more than 1,000 Siemens 3.6MW generating electricity in UK waters alone. Later this year, the 6MW offshore turbine designed by French company Alstom will begin generating electricity at its first commercial project - the 30MW Block Island development off the eastern seaboard of the US. It will be America's first offshore wind farm. If that marks a small start for the turbine, now subsumed within GE's portfolio after the US giant acquired Alstom's power and grid business for around EUR10 billion last year, there is a great deal more to come. The turbine has been selected to power three of the four projects awarded from France's first offshore tender, adding up to 1,428MW or 238 turbines. It has also been chosen to power the 396MW Merkur offshore project in Germany's North Sea. The stubborn refusal of China's offshore wind market to grow in accordance with five-year plan directives has slowed the domestic development of offshore turbines. 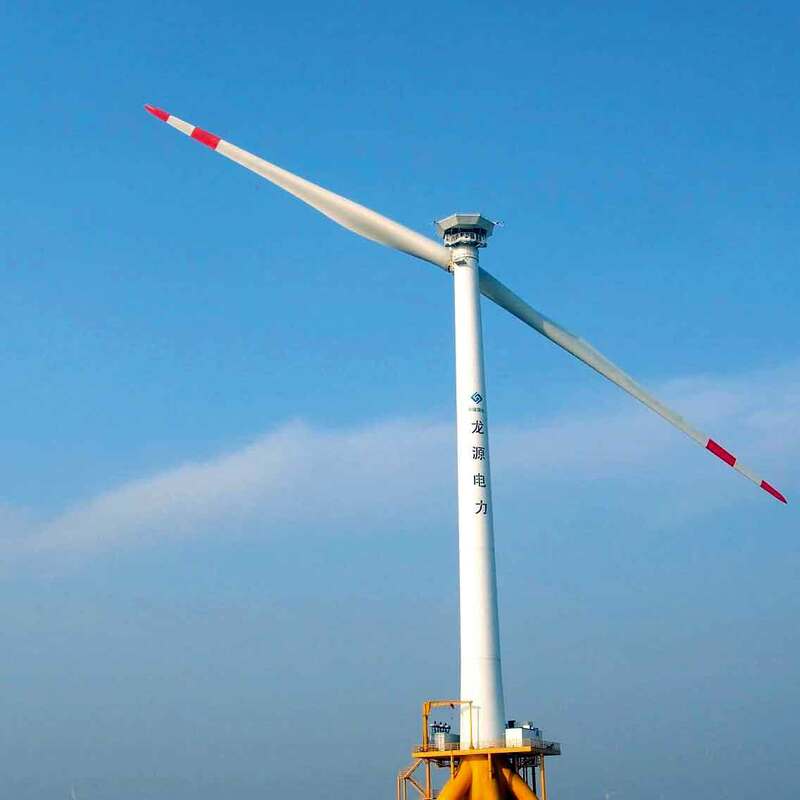 Sinovel presented a 5MW machine several years ago, which was uprated to 6MW in 2011, but the turbine has only found a home in one commercial application to date - Huaneng Renewables' 102MW Shanghai Lingang demonstration project off China's east coast. The prototype of the 6MW unit had the same 128-metre rotor diameter as the early 5MW machine, but the 17 Sinovel turbines operating at Lingang have an extended rotor diameter of 155 metres. 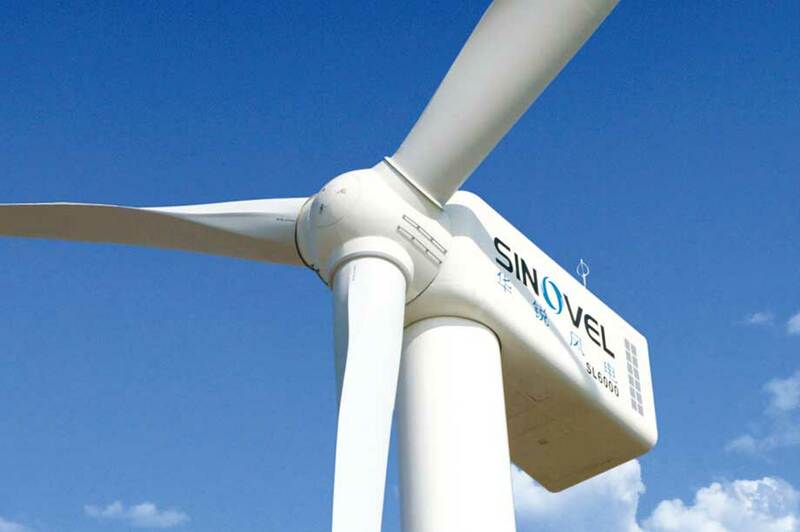 Sinovel started work on a 10MW turbine more recently, which was expected to be seen in prototype form late last year. But the company has cut back on the funding of its research and development facility in response to financial difficulties, and the turbine's future is unclear. Dongfang and Hyundai Heavy Industries (HHI) have both signed licence agreements with US-based designer AMSC Windtec Solutions for the manufacture of this offshore turbine. Dongfang's prototype, featuring in-house developed 68-metre rotor blades, was installed and grid-connected at the intertidal Rudong test site in China in summer 2013. Hyundai's was installed onshore on South Korea's Jeju Island in February 2014. 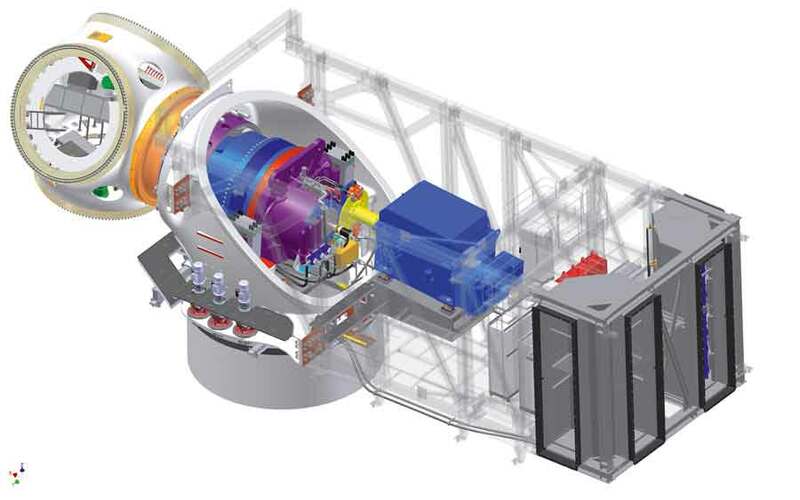 AMSC offers a choice between a permanent magnet generator or a doubly fed induction generator. Both designs are said to be production-ready, but have yet to receive the orders to justify serial manufacture. German engineering consultancy Aerodyn developed this offshore turbine back in the late 1990s. Taken up by Areva, and branded as the Multibrid M5000, it would become one of the pioneers of the sector in the following decade. Widely praised as an innovative design - its hybrid drivetrain providing a new solution between direct drive and high-speed geared for a low head mass and high reliability - it started its operating life with a 116-metre rotor diameter, since extended to 135 metres. 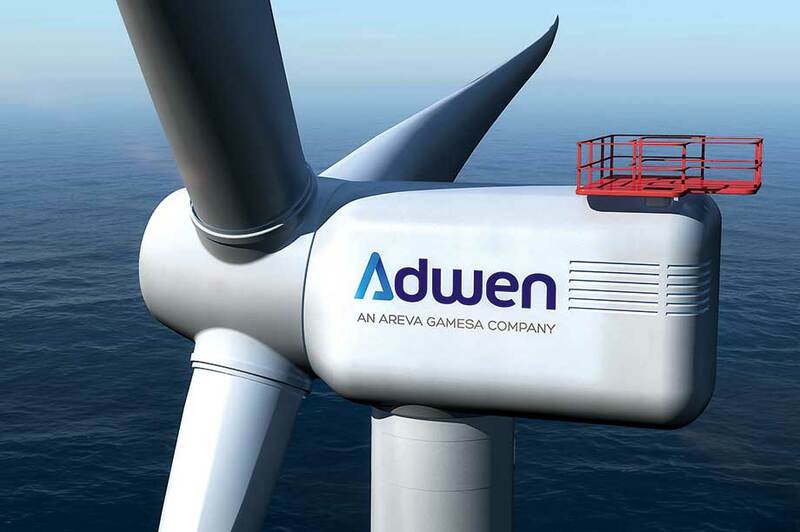 It was rebranded following the launch of Adwen, the offshore joint venture between Gamesa and Areva. More than 200 are operating in European waters, with a further 70 now being installed at the 350MW Wikinger project in Germany's Baltic Sea.